On this episode of The Henna Hundal Show, Henna Hundal interviews Dr. John Holdren, a physicist and environmental scientist by training who served as the 9th Director of the White House Office of Science and Technology Policy from 2009 to 2017. Dr. Holdren also held the positions of Assistant to the President for Science and Technology and Co-Chair of the President’s Council of Advisors on Science and Technology. 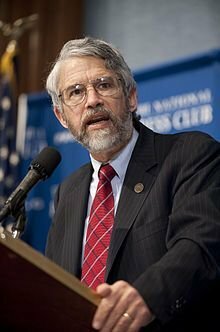 In this interview, Dr. Holdren discusses the initiatives previously promoted by the Obama administration for wildfire prevention, in light of the deadly 2018 California wildfires, and expresses his lack of confidence in the Trump administration’s commitment to science over partisan agendas.